EWASS, the annual meeting of the European Astronomical Society, will in 2018 be held as jointly with the National Astronomy Meeting of the Royal Astronomical Society (RAS). The meeting will take place in Liverpool from 3 to 6 April 2018. The programme consists of 11 Symposia and 31 Special Sessions that cover nearly all fields of astronomy and astrophysics, in addition to several plenary talks, lunch sessions, prize awards, exhibitions, etc. Registration is still open. Note in particular that the deadline for early bird registration is 6 February 2018. All information can be found on the EWASS 2018 website. EWASS 2019 will be held in Lyon, France, from 24 to 28 June 2019. The venue is the Manufacture des Tabacs, a former tobacco factory in the centre of Lyon. It is currently a campus of the Jean Moulin Lyon 3 University, and is officially protected as "XXth Century Patrimonium" by the French Ministry of Culture. Up to 1200 participants are expected to attend the annual meeting of the European Astronomical Society. The organisers will soon launch a call for proposals to organise a Symposium or a Special Session on EWASS 2019. The EWASS conference has since 2014 been organised by the European Astronomical Society in collaboration with a local EWASS Hosting Committee and with the support of a professional conference organiser. The bidding procedure for hosting the EWASS 2020 meeting will be started soon. Interested parties are invited to contact the EAS Office for further information. For many years Marc Türler has served the Society enthusiastically and conscientiously in a range of roles. He was Chair of the LOC for EWASS 2014 in Geneva and more recently organised the website and helped to run and record the Council meetings. Marc's versatility and commitment have contributed enormously to the growth and success that has been achieved in recent years. 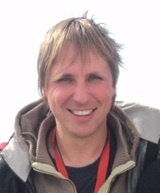 Marc now has a new role at the Swiss National Science Foundation where we wish him every success. Martine Logossou-Jacot, who has been the leading administrator of the Society for many years, has decided to cut down the time she can spend on EAS business but we expect that she will remain as the Society's Financial Officer. We look forward to continuing to work with Martine in her modified role. Last year the Society decided to seek an Executive Secretary to take on the central role in organising our activities. It took some time for the process to reach a conclusion, however, I am delighted to report that Marc Audard has accepted the position of Executive Secretary and started on 1 January 2018. Marc joins us part-time, as he spends the rest of the time as a senior researcher at the University of Geneva on the Gaia processing of variable objects. His research field is star and planet formation, with an emphasis on episodic accretion in young stars and with expertise from X-rays to radio. Marc will continue to be supported by Marie-Claude Dunand who deals with many of the issues relating to membership and subscriptions. He attended the recent Council meeting in Amsterdam - welcome to the Society, Marc! The office has much to do as we expand our activities and the office staff are thus extremely busy. In an attempt to lift some of the administrative burden Lara Maisey, my executive assistant in Oxford, will attend Council meetings and take the record. Welcome Lara! The role of Secretary of the EAS Council is a crucial one in organising and directing the business of the Society. Serena Viti has carried out the responsibilities of this role with dedication and distinction since 2012. Serena has indicated to me that she wishes to stand down as Secretary from July 2018 when new Council members take up their positions. The role of Secretary is filled for a term of four years and in July 2018 Serena will have served two years of her second term. In these circumstances the Council itself nominates a successor to serve out the remainder of the term and I am delighted to report that Emmanouil Angelakis, from Max Planck Institute for Radio Astronomy in Bonn has agreed to take on this role. Emmanouil (Manolis) is an experienced Council member who I'm sure will guide the Society skilfully. At the Amsterdam meeting Council adopted the recommendations of the Ethics Working group (see EAS Ethics Statement and Guidelines for Good Practice) and I am delighted to report that Coralie Neiner will be the Council member taking responsibility for this topic for the remainder of her term. Council strongly encourages EAS members to cast their vote in this election. Ordinary Members may vote for the number of candidates needed to fill the three vacant posts or fewer, but not more. There is no form to complete. Members can vote electronically simply by sending an email to eas @ unige.ch stating the candidates they wish to support. The candidates receiving the largest number of votes, will be considered to have been elected. The deadline for the voting is 18 February 2018. A summary of the present composition of Council can be found at this web page. In January 2017 the Working Group identified Professor Mike Bode, recently retired Director of the Astrophysics Research Institute of Liverpool John Moores University, as an ideal candidate. Mike had, for example, been on EAS Council until 2016 and prior to that had led the development of the ASTRONET Infrastructure Roadmap for European astronomy. He formally took up the Special Representative role in May 2017 on a part-time basis under a partnership agreement. This initially runs until the end of 2018, with a six-month gap until the end of March 2018 while he undertakes a previous commitment as a Visiting Professor in Southern Africa. On taking up his role in May 2017, Mike undertook extensive background work on the EU, European Commission and European Parliament. In order to foster closer ties with the European Physical Society, which has similar ambitions to those of the EAS, discussions were held in Brussels with the EPS Secretary General and their own representative to the EU, with follow-up co-operative actions resulting. In discussions with the EPS and others, including the Acting Executive Secretary of the Royal Astronomical Society, EuroPlaNet, the Director of the UK Research Office in Brussels and the First Secretary for Research and Regional Policy of the UK Permanent Representation to the EU, a list of prime contacts in the Commission and Parliament was compiled and introductions made. Through this, meetings have now been held with senior officials in the European Commission including a Senior Advisor to the Commissioner in the Research, Science and Innovation Directorate and a Senior Economist/Policy Advisor in the International Cooperation and Development Directorate. Invitations for such senior officials to attend EWASS 2018 have been issued and it is hoped that at least some will be able to attend this, the "showcase" event of the Society. On his return from his Visiting Professorship at the beginning of April, Mike will resume his role to coincide with EWASS where he is also a co-organiser of Special Session 17 "Making the case for European astronomy and space science: public and political engagement". Over the following months he aims to apply for accreditation with the European Parliament; follow up further contacts in the Parliament and Commission; foster even closer working relationships with the EPS, EuroPlaNet, ASTRONET and others, and give consideration to a possible half-day Special Session at the European Parliament which could, for example, centre around the launch the proposed brochure on the wider impact that our subject undoubtedly has. Council wishes to express its gratitude for the work that the Working Group, chaired by Sara Lucatello (INAF, Italy), has put into this very clear and complete document. It recommends and hopes that this document will help the European astronomical community to take the different aspects of ethics into full consideration. Council also announces that the Statement and Guidelines will apply in the context of the EWASS conference. Council strongly urges all EAS members, as well as non-members, to read the document and to make it widely available, including within their organisations. The EAS e-Newsletter that you are reading now is designed as the prime communication tool between the Society and its members. Before 2016, EAS communicated with the membership through short e-News and a paper Newsletter. The EAS Office has now finished scanning all 48 paper Newsletters issued between November 1991 and December 2015, and has made them available online. It allows European astronomers to browse through the first 25 years' history of their Society. The EAS is a society of professional astronomers. Through your membership you strengthen the voice of European astronomy, support the various EAS activities and enjoy many benefits. The deadline for the payment of the membership fees for 2018 is 31 March 2018. More details can be found here. Thierry Courvoisier has been the EAS President between 2010 and 2017. During his presidency, he has had many reflections on the relationship between knowledge and society, and the links between science and political decision making. These reflections have now been written down in an essay "From Stars to States", edited by Springer. The intended readership are all scientists involved in science-for-policy activities, members of academies of sciences, science funders, civil servants and policy makers.